Oil Sheen on Water | Guardian Environmental Technologies, Inc. The USEPA has very specific requirements on reporting oil sheen on water otherwise known as the “Sheen Rule”. 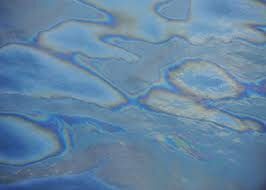 In the case of most hydrocarbons, spilled oil spreads and eventually becomes a very thin film known as a “sheen”. The thickness of this film is usually less than one micron (1µm). This film is transparent and has a silver to silver-grey appearance. The sheen actually contains very little oil. However, a very small amount can spread over a square mile if left unattended. As oil spreads on water, the oil slick changes in color from black or brown to a rainbow of colors and finally to the silver or silver-grey of sheen. Removing this annoying and troublesome sheen can generate big problems for businesses that use large amounts of water for cooling or other uses in manufacturing or production. Conventional absorbent pads are mostly ineffective. However, there is a solution. SheenGuard blankets and pillows are made with the premier oil solidification absorbent available today. You can rely on SheenGuard to solve your oil sheen and rainbow problems. Please contact us for more information. Since 1992 Guardian Environmental Technologies, Inc. has been helping customers enhance their overall productivity by providing practical and time-saving spill response and bulk solidification products. Contact us today so we can help you calculate your savings. (860) 350-2200.